I earned my undergraduate education in Dentistry and Oral Surgery at Alexandria University in Egypt. I graduated from University of Medicine and Dentistry of New Jersey (now Rutgers School of Dental Medicine), I completed the MaxiCourse® in Practical Implant Education with the American Academy of Implant Dentistry and am currently pursuing a fellowship in implant dentistry. I possess 14 years of experience in general dentistry and I’m proud to be working with the Champagne Smiles team to provide patients with the highest level of dental care. My philosophy is that balancing compassion and understanding with education and experience creates an environment of excellence and personalized patient care. My calm and kind demeanor helps patients feel at ease. This, combined with clinical expertise, allows me to give patients the healthy, confident, and pain-free smile they deserve. 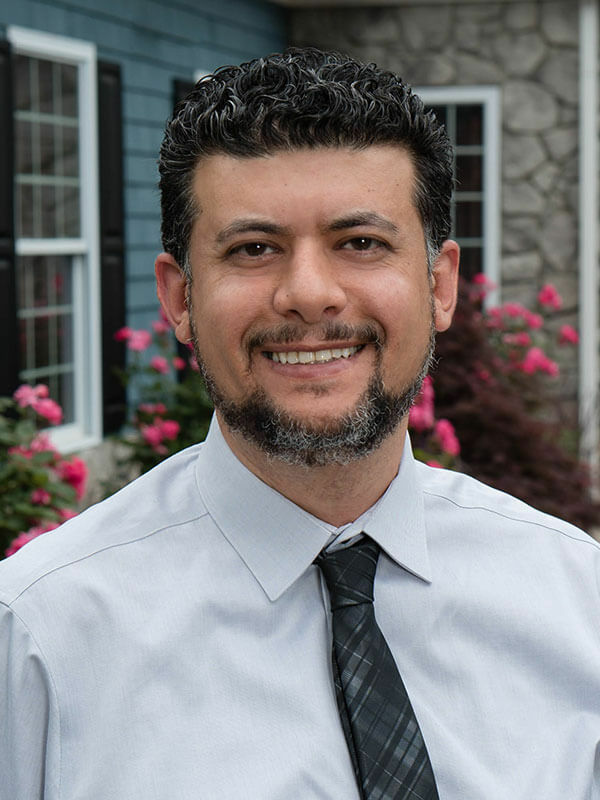 I am an active member of the American Dental Association, New Jersey Dental Association, Monmouth-Ocean Dental Society and American Academy of Implant Dentistry. I regularly attend continuing education classes to keep up to date with the most current advances in dentistry. Outside of work, I love spending time with my wife, Bridget. Together we enjoy traveling, hiking and going to the beach. We also love practicing yoga and cooking healthy foods.